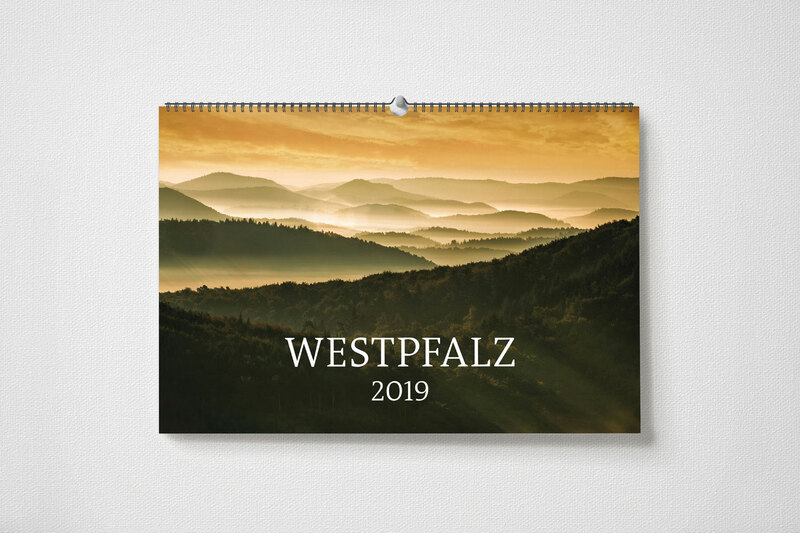 In the past two years we have received an overwhelming positive response to our illustrated book "One year in the West Palatinate". 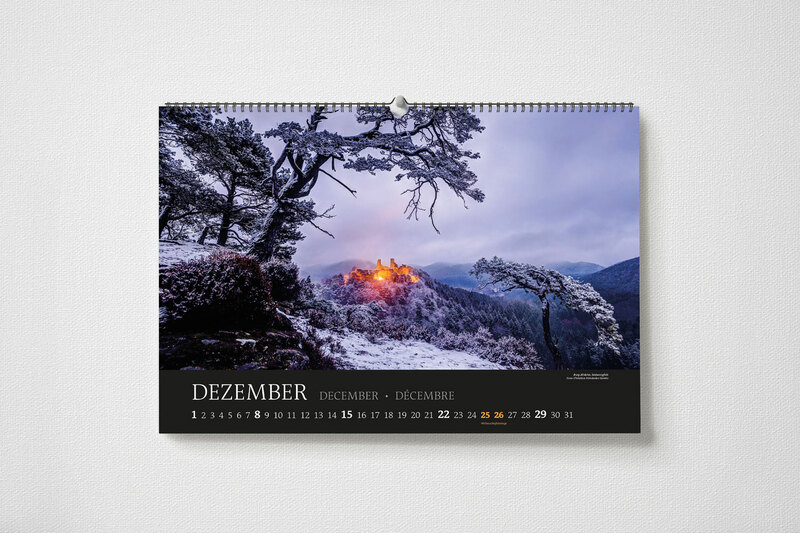 Especially during the Christmas season the book enjoyed great popularity. 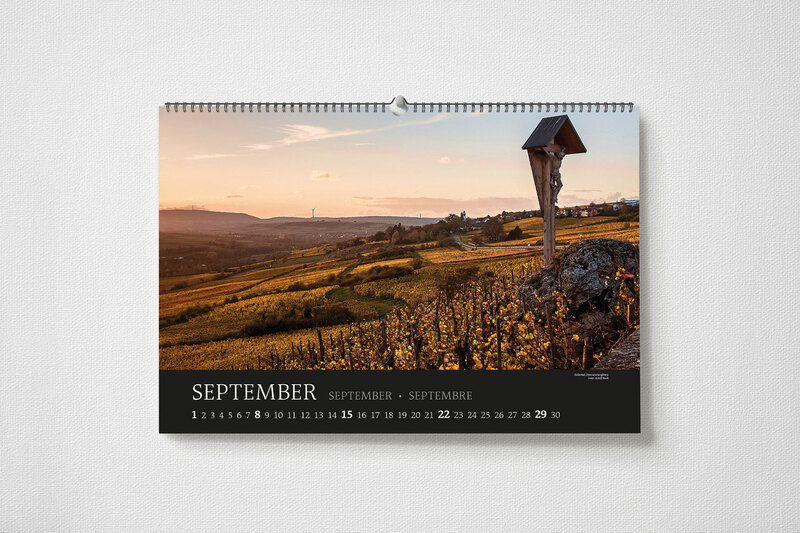 This year we have come up with something new. 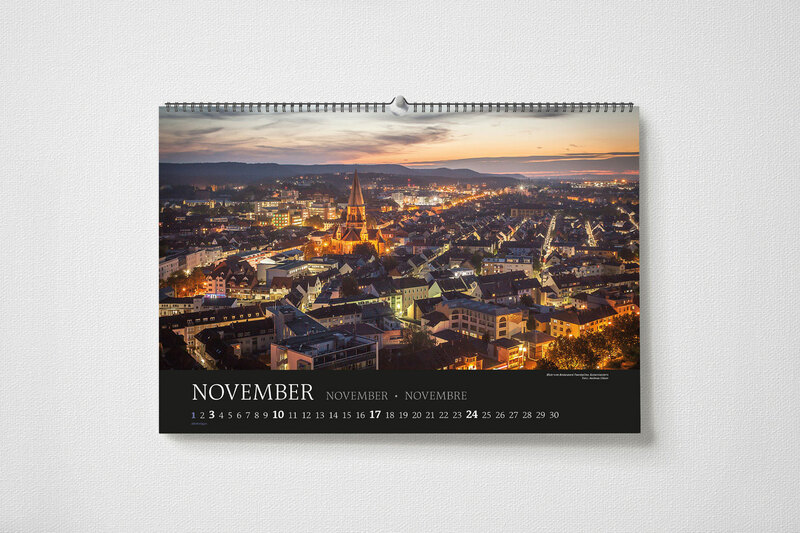 For the first time, there will be a West Palatinate Calendar. 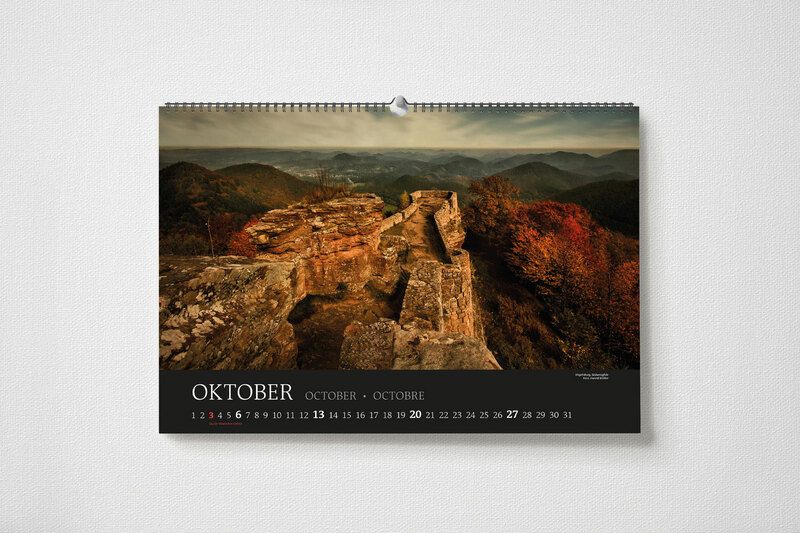 The monthly calendar is produced in a large format, size DIN A2 (42 x 59,4 cm / 16,54 x 23,23 in) and gleams with 13 impressive photographs from the region. 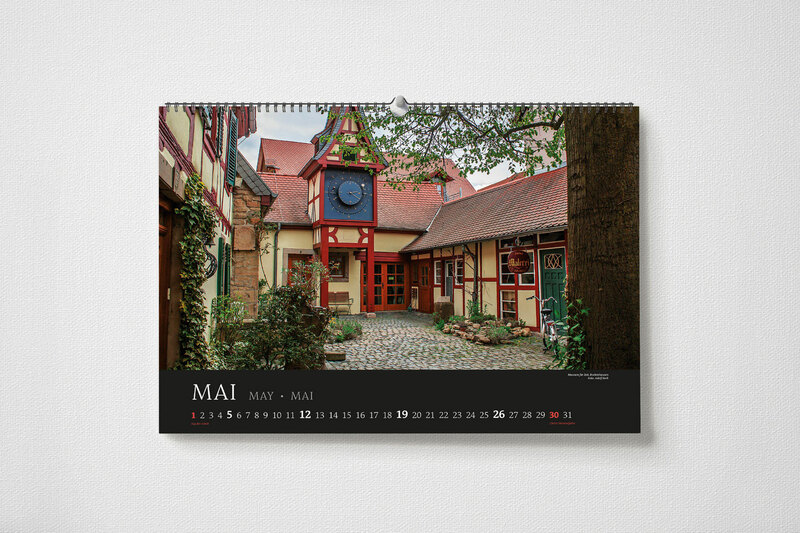 Obtainable trilingual (German, English, French), the calendar contains the holidays of Rhineland Palatinate. 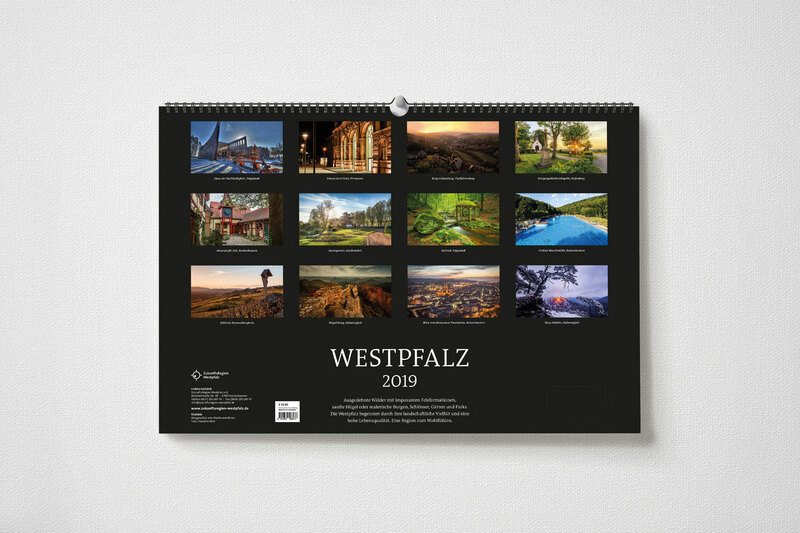 The West Palatinate Calendar of 2019 costs 24,90 Euro (20,92 € plus VAT) and can be purchased in the following ways. 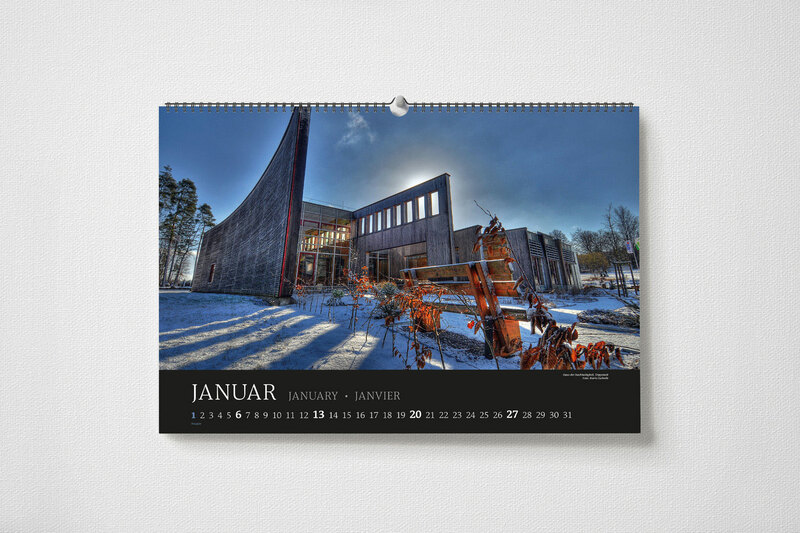 Alternatively, you can get the calendar at our office. 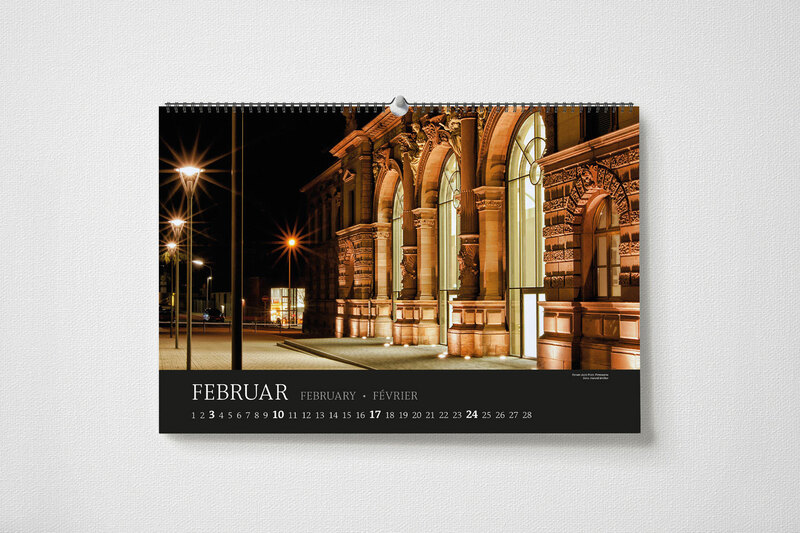 The collection in Kaiserslautern (Bahnhofstraße 26-28, 67655 Kaiserslautern. Core hours: Mo-Thu 8 am-4pm, Fr -3pm) is free. If delivery is needed, the costs of shipping fee including packaging have to be borne from the buyer. 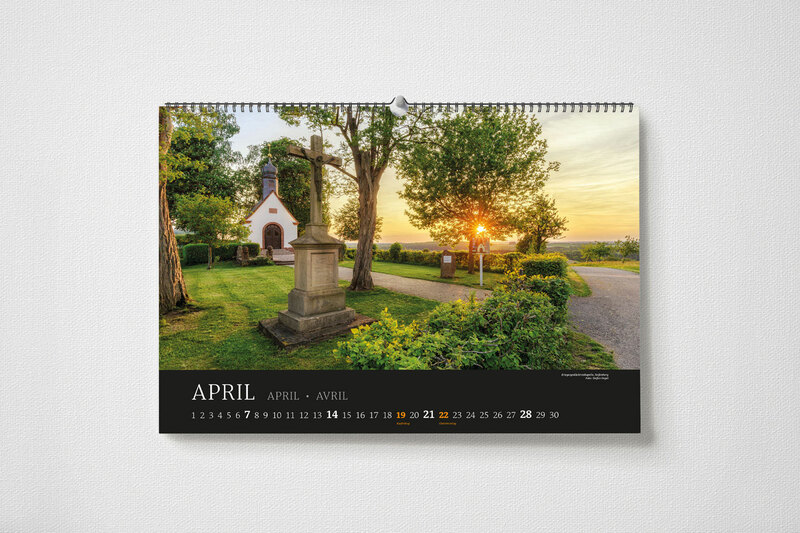 Please give us a call under 0631-205601-10 or contact us by e-mail for your order or questions. 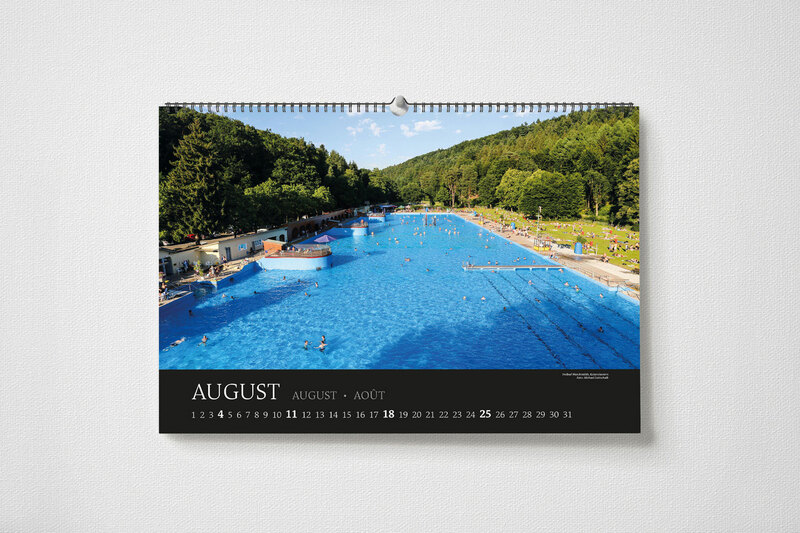 For our members, the West Palatinate Calendar of 2019 is available at a reduced price at our office. 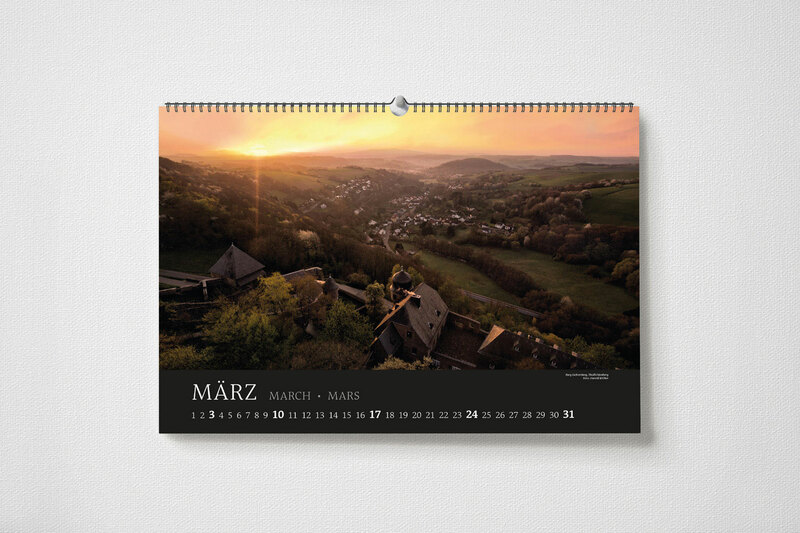 In addition to that, you will receive lables with your logo on, to put them on the backside of the calendar. 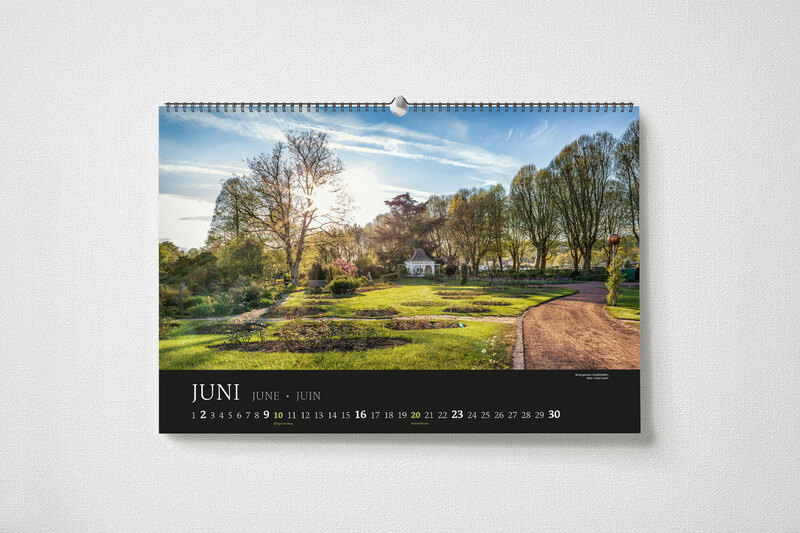 With your company lable on the backside, the calendar is the perfect (Christmas) gift for your employees or business partners. 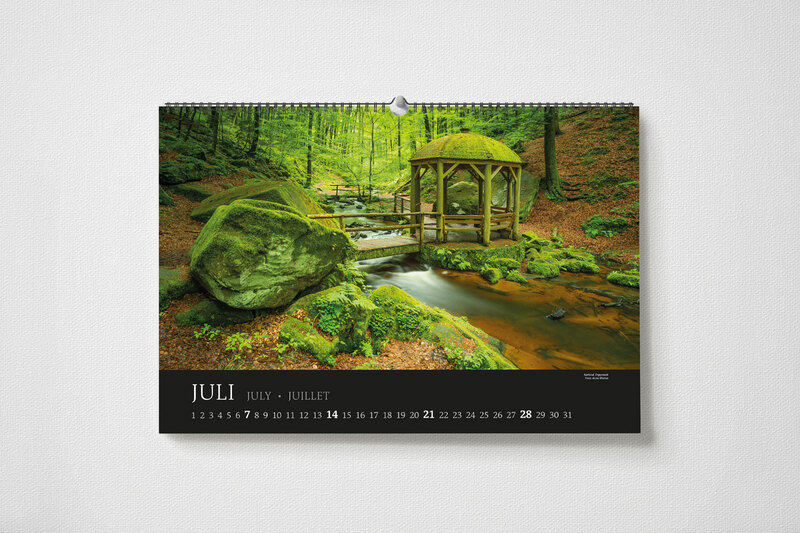 Click on one of the pictures above and use the arrow keys to navigate through the gallery.